Originating on Twitter as a common way to sort through tweets and their content, the use of hashtags in social media has exponentially increased in recent years. Facebook recently announced that hashtag functionality will begin this week, with some users seeing integrated hashtag options immediately. In Facebook’s announcement, an explanation that a variety of hashtag metrics would become available with this addition is making many social media gurus, advertisers and viral content creators giddy. 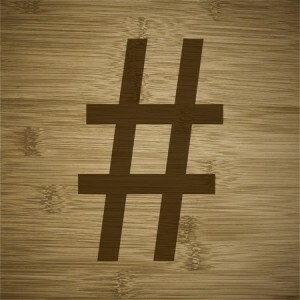 What all can we expect to see once hashtags are fully viable on Facebook? Continue reading to find out how hashtags will change Facebook interaction. Currently, most Facebook users cannot take advantage of the hashtag feature, but that will change in the next few weeks. Many users have been pinging URLs and hashtags on Facebook despite the fact that the social media giant did not have prior hashtag support. Users will be able to click on hashtags via Facebook to see who’s talking about the subject, search for a hashtag via the Facebook Search bar and even monitor hashtags from other social media sites that are streaming to your feed. Facebook has also eluded to the notion that a hashtag “dashboard” of sorts will soon become available; if this happens, also expect hashtags to play a prominent role in advertising efforts. With so many live discussions being had these days while watching our favourite shows, one of the biggest reasons why Facebook appears to be moving in the direction of hashtags is to provide an outlet through which integrated discussions can be had. A recent rise in popularity for sites where live television discussions can be had has been seen, giving the social media giant additional reasoning for retaining its users and providing them a platform through which to discuss, inform and engage one another. Not only will this facilitate increased dialogue for entertainment-related subjects, but it will help Facebook users from all around the world connect with one another over just about any subject. With an array of privacy limitations and settings offered by Facebook, it is to be expected that the hashtag feature will not work exactly the same as it does on Twitter. Many Facebook users have been curious as to whether their hashtag-injected content will be subject to indexing in the same way that Twitter does. The short answer is no: if your posts are set to be viewable by only those in your networks, (friends and/or friends or friends), then no one outside this sphere of influence will see your hashtag posts. There is no doubt that thousands and thousands of advertisers are lining up for the privilege of pinging URLs associated with hashtags, but Facebook says that it has no immediate plans to offer this service. When operating campaigns across multiple platforms, however, using hashtags in advertising may prove to be beneficial as Facebook will index this content and make it searchable via the hashtag search function. It remains to be seen for how long Facebook will adhere to this policy, as ultimately the combination of hashtags and advertising have become commonplace on other sites like Twitter.